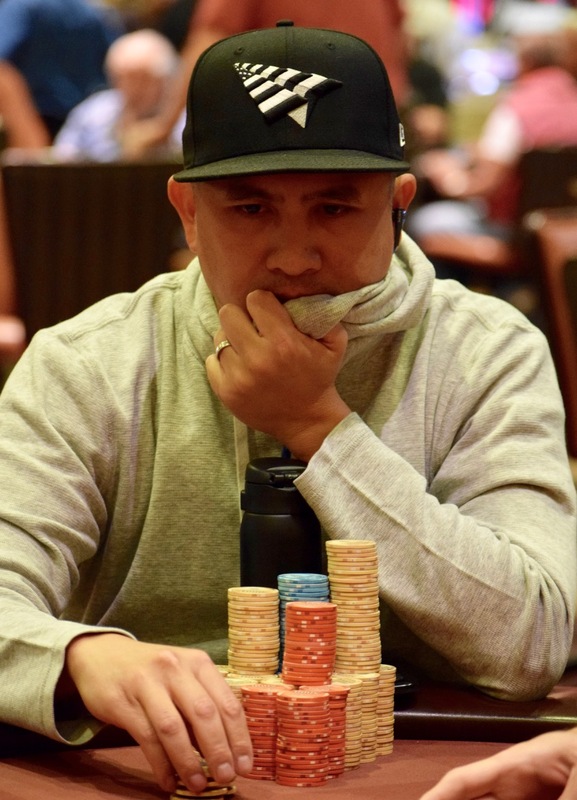 About half of all the chips in play 5-handed in the @WSOP Circuit High Roller belong to JC Tran. TO most poker players, that's not a good sign if they're at the same table. This group, however, including Will Givens ... the chips are going to fly ..
Justo Avalos was the bubble, Brett Murray cashed in 6th for $6,844.